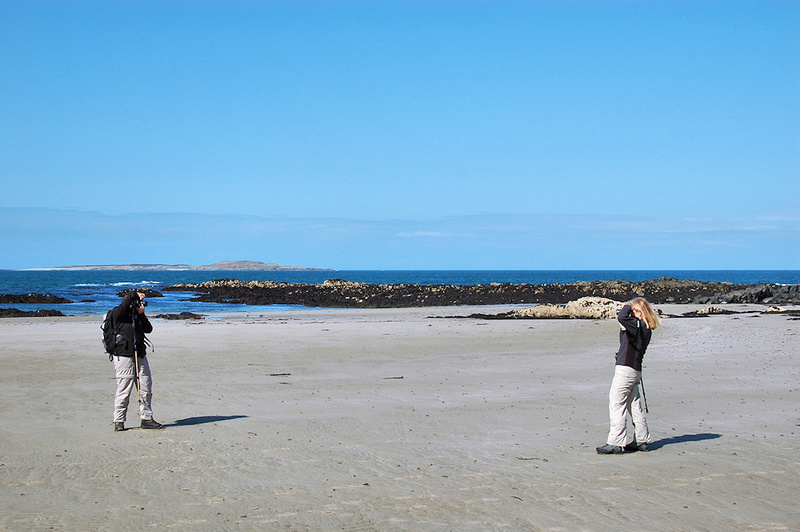 A picture from an Islay walking week a few years ago. Close to Gortantaoid Point these two jokingly took pictures of each other. And I took a picture of them taking pictures of each other. This entry was posted in Beaches, Landscape, Repost, Sunny Weather and tagged Gortantaoid, Islay, Traigh Baile Aonghais by Armin Grewe. Bookmark the permalink.